Provisions within the county's Source Separation Law require private haulers and municipal haulers to report on solid waste collected in Westchester County. These reports enable Westchester County to fulfill one of its responsibilities as a New York State-designated "Solid Waste Planning Unit," which is to coordinate and analyze the solid waste generation and recycling efforts of all the municipalities and private haulers within its borders. Reporting is also a part of each company’s obligations for licensure by the Westchester County Solid Waste Commission. The current reporting period covers July 1– December 31, 2018. The cover letter and Private Hauler Report Form was sent to each licensed hauler and is also available here. In 2017, the latest full year of data available, the county posted a high recycling rate, with 50 percent of solid waste collected by municipal and private haulers being recycled. Westchester County considers any violation of the Source Separation Law to be a serious offense. The county examines the practices of licensed private haulers, municipalities, and waste generators at transfer stations, along collection routes and where garbage is generated and collected. Be advised that on October 18, 2010 the Westchester County Board of Legislators voted to expand the list of mandated plastic recyclables under the Westchester County Source Separation Law (SSL) to include plastics with resin identification codes 1 through 7. This law took effect on June 1, 2011, at which time all haulers must provide regular, reliable and separate collection of recyclables (including the expanded list of recyclable plastics) to any customer to whom they provide recyclables collection services; and, deliver any recyclables that they have collected or picked up to a recyclables transfer, storage or processing facility that accepts these materials. You can provide copies of the Expanded SSL & Plastics 1 - 7 Summary to your customers, to ensure their compliance under the expanded SSL. 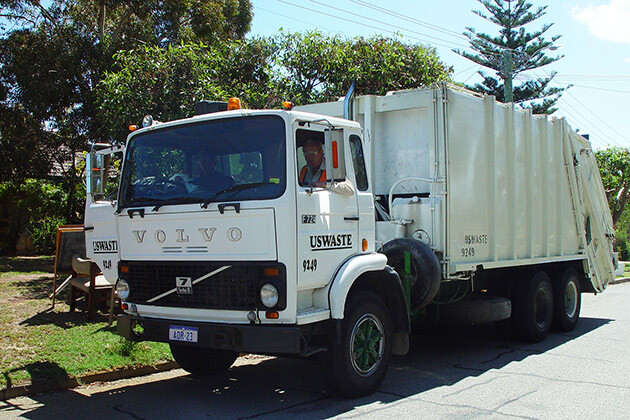 Municipalities and haulers may help businesses and schools assess their own recycling programs to make sure they are recycling all that they can and as effectively as possible, using the businesses self-audit and school self-audit. They can also distribute the Curbside Recycling Guide to residents who need to learn how to separate recyclables for curbside collection. In addition, printable paper and commingled recycling bin labels are available for use at home, office, school, institution, or business locations. Private haulers are offered access to all three county transfer stations to dispose of commingled recyclables at a rate of $62 per ton. If you are interested in using county facilities, complete the Private Hauler Application for Entry to MRF & Northern Tier for Tipping of Recyclables form and send it directly to the address listed on the form.